Full Service Florist. Daily deliveries to Dallas/Ft. Worth & metro cities. Family owned & operated for over 30 yrs. Specializing in unusual & custom designs. Something for everyone's taste & budget. Order on line 24/7 !! We carry fruit/gourmet baskets, toys, & candies. Wedding specialist on premise. We Specialize in Personalized Service and Deliver only the Finest Quality Flowers, Fruit, Gourmet, & Giftware. Serving the Dallas-Ft.Worth Metro-plex for over 50 yrs. Enjoy the Convenience of ordering from our Online Catalogue 24 hrs a day! Full Service Florist. Satisfaction Guaranteed. Family owned and operated with over 20 years of floral experience. Specializing in unique and custom arrangements. Wedding and corporate event planner on staff. Something for everyones taste and budget. Serving all hospitals and funeral homes. Full service florist. Satisfaction guaranteed. Serving the community for over 36 years. Specializing in unusual and custom designs. Something for everyone's taste and budget. Serving the entire metroplex. A real flower shop. Family owned and operated with over 28 years of floral experience. Flowers, roses, balloons, candies, bears. Serving all hospitals and funeral homes. 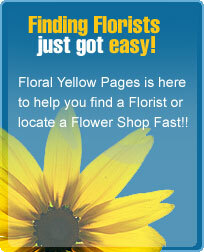 Longest established florist in Plano. Specializing in custom floral designs, weddings, parties, and special occasions. Same day delivery. 100% satisfaction guaranteed. Full Service Florist. A real flower shop. Family owned and operated with over 28 years of floral experience. Flowers, roses, balloons, candies, bears. Serving all hospitals and funeral homes.